I'm a patient woman. Don't rush - just wanted to make sure you hadn't given up or forgotten now that you got our appetites whetted. Looking forward to it. Yes, I need to pick this up again. 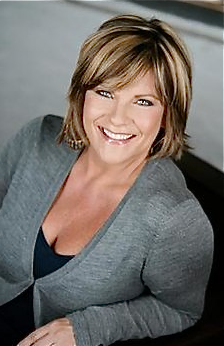 I think I am going to write about Kim Zimmer next-- she played Reva Shayne on Guiding Light. Give me till the weekend, so I can find some good photos of her. I'll try to post something on Sunday. Zimmer will be an easy one for me to write about, because I probably saw nearly every one of the episodes in which she played Reva. And her autobiography was so memorable. She's a real character on and off screen. She's one of the greats of American soaps. Okay, let's just get to it. 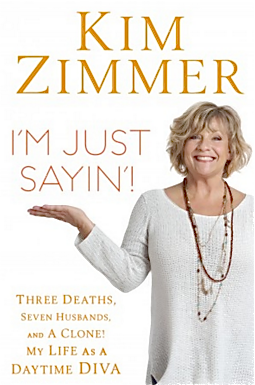 Kim Zimmer is a daytime legend. She personifies the word "diva" but in a good way. She played Reva Shayne Lewis on Guiding Light from 1983 to 1990, then miraculously came back from the dead as Reva for a longer turn from 1995 until the show's cancellation in 2009. Previously Kim had appeared on One Life to Live and The Doctors, where she had taken over for Kathleen Turner. In Kim's autobiography, she talks about an early role she had playing Roger Thorpe's secretary on GL around 1978 or 1979, before she signed on with The Doctors and became more known to daytime viewers. During her five years away from GL, she and her husband moved to California where she appeared in episodes of Designing Women and Seinfeld, plus she did a role on Santa Barbara. But she is most popular for playing Reva, and that is how she'll be remembered by most television viewers. She earned four daytime Emmys as lead actress for Reva, and she deserved every one of them. She probably deserved more Emmys. She was continually on the front burner and often had the show's most challenging storylines. Some of those stories were quite far-fetched, which she pokes fun at with the subtitle of her autobiography. If you haven't read Kim's book, I strongly recommend it. Even if you never watched her as Reva. She has so many great insights about the daytime soap-making process. And her candor imbues every single page. She tells about fights she had with her producers and mentions them by name; she rates her costars' kissing abilities; she talks about hitting menopause and gaining weight which led to a lot of online bashing; she adds humorous anecdotes about people who were more famous than her coming up to meet Reva when she was in public; and she tells poignant, sometimes sad tales about her home life, including a drinking problem and trying to stay involved in her kids' lives despite the demands of her career and their need to be independent and leave the nest. It's just a truly superb book from cover to cover. I especially love how in her book Kim talks about the process of acting. There's a great story of a time when someone delivered a script to her dressing room and she hated the drivel they were making her play and she threw it against a wall and let the script sit in the corner, on the floor, for a day. Then she realised that's what they were paying her to do, to turn absolute garbage into something watchable. And she did that often. In the early years, when she earned her first Emmy, Reva was a real cyclone. Some of her wild hairstyles support this idea! The character was introduced by a new headwriter (Pam Long) and new producer (Gail Kobe) who were determined to lift the show out of the doldrums and breathe new life into the then-long running serial. Reva faced many hard times and wore her heart on her sleeve. Her tears were always real, thanks to Kim's deep understanding of the woman she played; and when Reva jumped into a fountain at the Springfield country club and baptised herself the S-lut of Springfield, it was funny and heartbreaking at the same time. But while she excelled at playing the sassier aspects of the character, she also gave us a tender side of Reva. 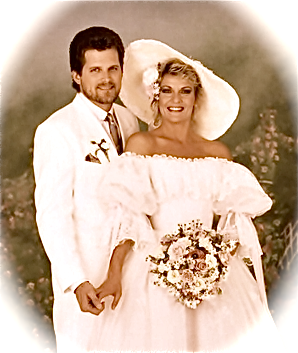 And the wedding between Reva and her true love Josh (Robert Newman) was one of the show's high points.